Il Pegaso, the winged divine horse, was viewed as a symbol of wisdom and fame during the Middle ages and Renaissance, and remains one of the most well known fantastical and mythological creatures to this day. Il Pegaso is also the title of a work by the Italian composer Tarquinio Merula, published in 1640. 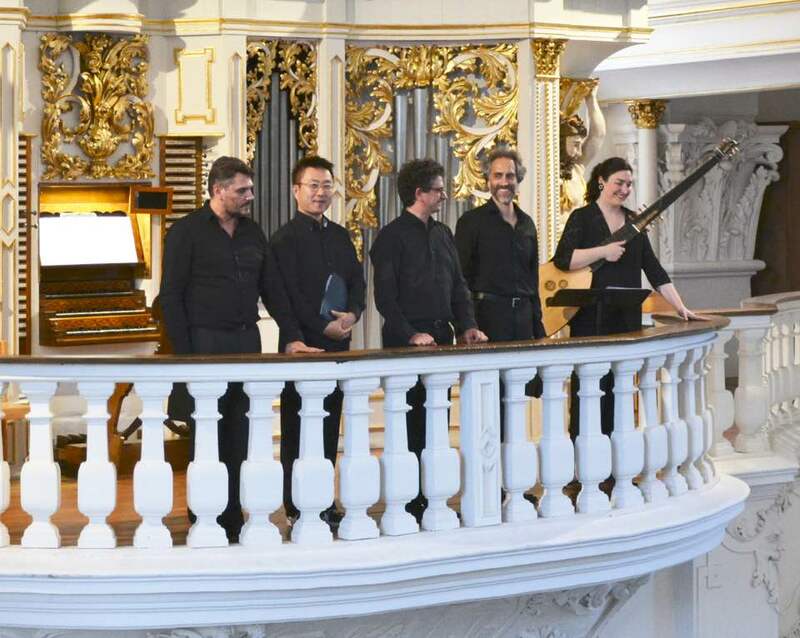 Taking his inspiration from these sources, Maurizio Croci founded in Fribourg (Switzerland) the ensemble Il Pegaso in 2012, a versatile group formed by early music successful specialists. His members collaborated with Il Giardino Armonico, Zefiro, Monteverdi Choir and Orchestra, Ensemble Aurora, Bach Collegium Japan, La Petite Bande, Berliner Philharmoniker, etc, directed by E. Gardiner, W. Christie, P. Herreweghe, S. Kuijken, A. Marcon, M. Minkowski, P. Neumann, O. Dantone, F. Biondi, A. Parrott, M. Suzuki, F.Bernius, A. De Marchi, etc. Il Pegaso debut recording, first modern execution of newly discovered compositions of Monteverdi and Frescobaldi, has been praised by international critics by getting prestigious awards (5 Diapason, 4 Classica, Nomination for International Classical Music Award).